Say goodbye to hours spent on paperwork, and hello to an online system you can enjoy using. With HASpod your documents, training, talks, results and records are just a click away. There's nothing to install, you can start using HASpod today. No more piles of papers in cabinets, HASpod puts all your health and safety content in one place for less hassle and more control. Join over 5,000 businesses using HASpod to create safer workplaces! Reduce the time you spend doing paperwork. HASpod has hundreds of document templates that you can quickly search, edit and download to pdf, complete with your business name (and logo on Document & Pro plans). Start with the free plan, get a single document or training course, or access everything with a membership plan. 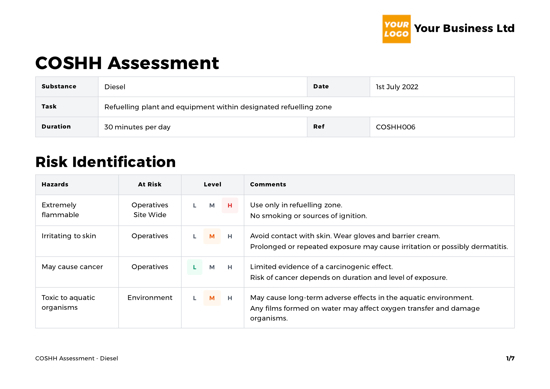 Create a single health and safety document, or pick the Documents Plan for unlimited access to hundreds of templates. Take a health and safety course and get your certificate, or choose the Training Plan for unlimited access to all courses. Health and safety talks at your fingertips. From asbestos awareness to zero harm, start each day with a quick refresher. Choose one of our CDM support packs or use the free guides and tools to help comply with CDM 2015, whatever your role.